The plentiful seating and beautifully curved back section makes for a design that puts you in the perfect position to relax outdoors. The coated aluminium frames are rust free and extremely lightweight with feet that have toughened plastic caps that look stylish and protect both the chair and the surface it’s on. 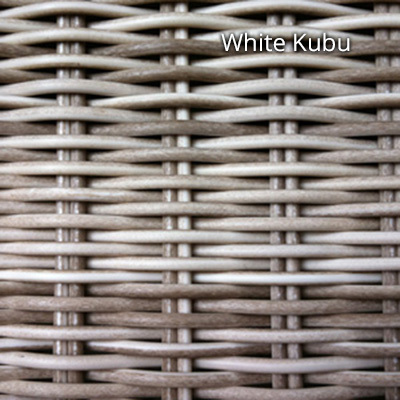 Both the frame and the weave can withstand the elements all year round making them perfect for outdoor use. Ecolene are widely recognised as one of the best manufacturers of synthetic rattan in the world today and their fibres are manufactured and tested for use in a wide variety of outdoor environments.